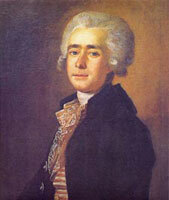 Dmytro Stepanovych Bortniansky (28 October 1751 Glukhov, Chernigov governorship – October 10, 1825, St. Petersburg) was a Russian composer and conductor of Ukrainian origin. Opus/Catalogue_Number: Russian piano music from the end of the XVIII century up to the 60s of the XIX century. Chrestomathy. M., 1954 Ed. 1. This entry was posted in Bortniansky, Dmytro, Piano, Sonata and tagged Dmytro Bortniansky, Music score, Piano, Sheet music, Sonata on 08.01.2018 by admin. This entry was posted in Bortniansky, Dmytro, Piano, Sonata and tagged Dmytro Bortniansky, Music score, Piano, Sheet music, Sonata on 07.01.2018 by admin. Opus/Catalogue_Number: The history of Russian music in musical scores. / Ed. S. Ginsburg. L.; M., 1940 T. 1. This entry was posted in Bortniansky, Dmytro, Piano and tagged Dmytro Bortniansky, for the voice, Music score, Piano, Sheet music on 19.12.2017 by admin. This entry was posted in Bortniansky, Dmytro, Piano, Romance and tagged Dmytro Bortniansky, for the voice, Music score, Piano, romance, Sheet music on 19.12.2017 by admin. This entry was posted in Bortniansky, Dmytro, Piano and tagged Dmytro Bortniansky, for the voice, Music score, Piano, Sheet music on 18.12.2017 by admin.